Welcome to Capital Guitars. If you are in the market for a high-quality instrument at a competitive price, we hope you will give us a look. 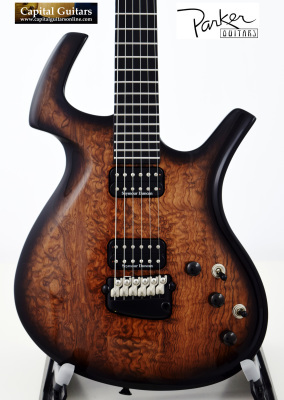 The instruments in our inventory tend to be high-end, previously-loved guitars that are in superb condition. 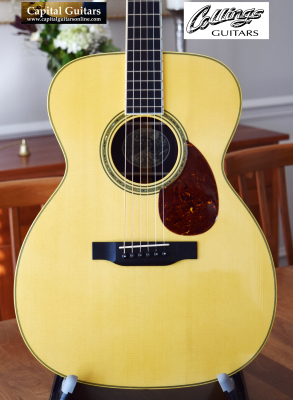 Previously-owned and well-maintained guitars are typically a much better value than buying new in that the instrument's price already reflects the impact of depreciation. 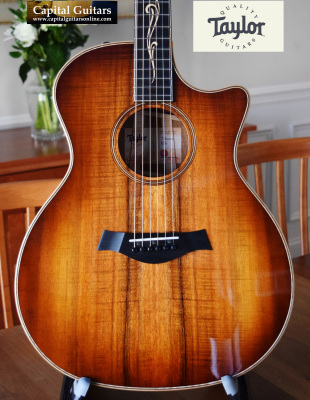 We invest in previously-owned guitars that we would like to own and play ourselves, in the hope that you will find our selections equally desirable! Ours is a small web-based company. Without a storefront to maintain or staff, our overhead costs are relatively modest. This allows us to sell at price levels often better than most anywhere else for a comparable instrument in similar condition. Every guitar we sell comes to you set-up, polished and ready to play. We pack with extra care and ship promptly, including shipping to most international locations. The guitars pictured on these pages are currently available for purchase unless otherwise noted. Just click on a photo for more information about that instrument, or click on the 'Inventory' tab above to see our entire stock. We provide links to more photographs and a sound sample for each of the guitars we offer for sale and links to related videos where available. Customers within the USA can click on 'Buy Now' to make a purchase using PayPal or with a major credit card and shipping will be calculated automatically based on your zip code.